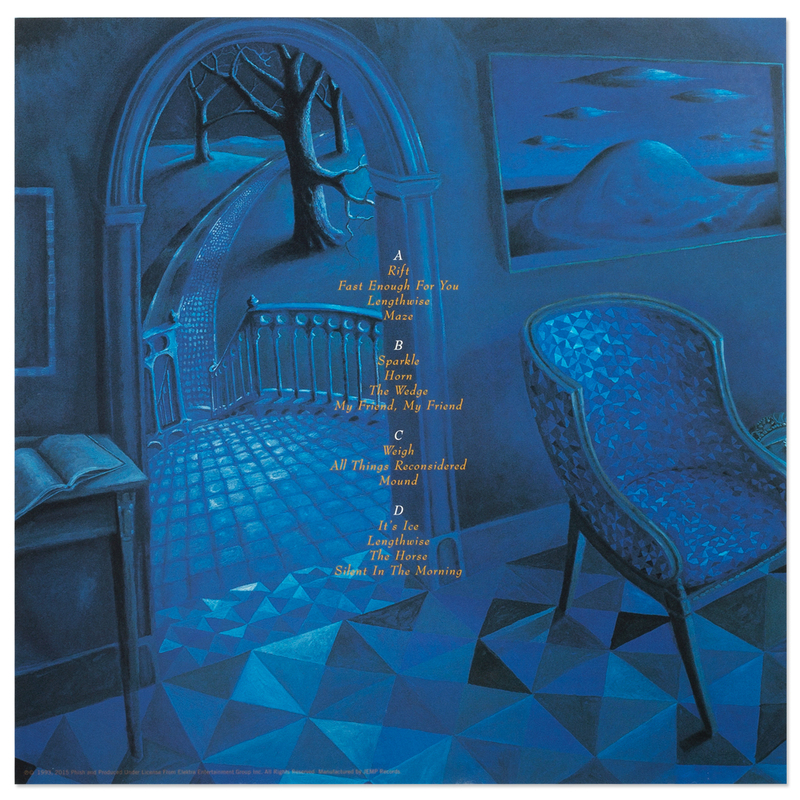 Blue version (limited) was available only at the JEMP Records Store at Magnaball and comes with a Limited Edition new print from David Welker. BLUE VERSION HAS SOLD OUT. Rift was recorded in September and October 1992 at White Crow Studios in Burlington, Vermont on 24-track 2" tape by Engineer Kevin Halpin assisted by Jon Altschiller. Rift introduced a cohesive set of complex compositions sequenced to deliver the narrative and imagery of a fractured romance. 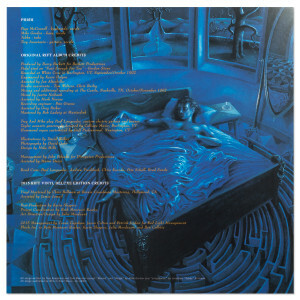 Trey Anastasio and Tom Marshall wrote eleven songs on Rift, Mike Gordon contributed two more - "Mound" and "Weigh", and Jon Fishman's "Lengthwise" appeared on the album twice. Almost all the material on Rift was developed live before the album was recorded – much of it debuted in a few big chunks in 1991 and 1992. The title track, created in sections between 1987 to 1992, has more history. The melody grew out of the instrumental "With" section of The Curtain With, which was performed live from Summer 1987 to Summer 1988. 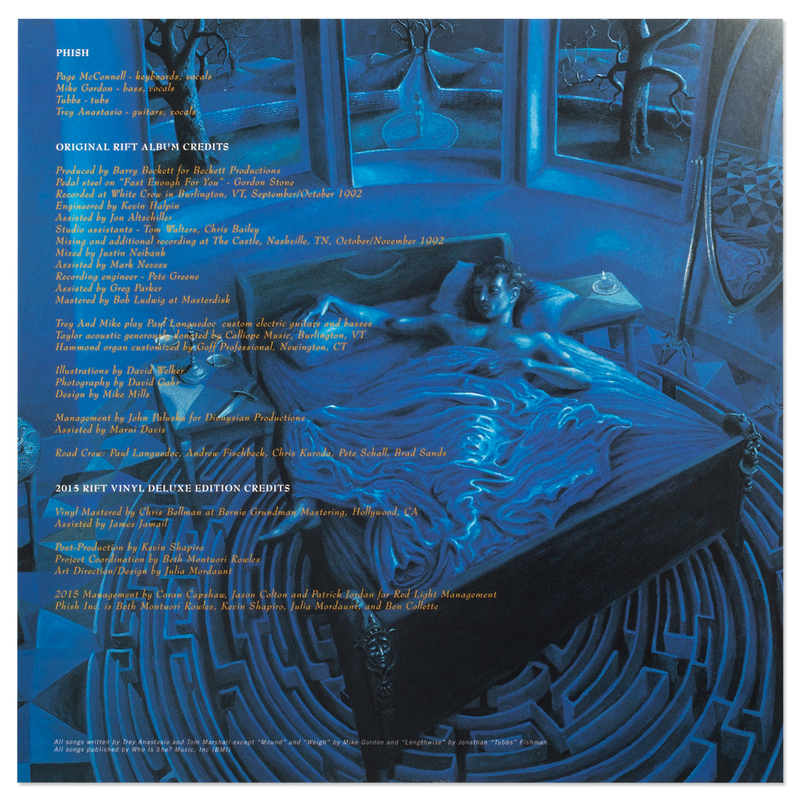 The nascent lyrics were incorporated almost two years later in 1990 and "Rift" was played basically in its entirety a half dozen times that year. 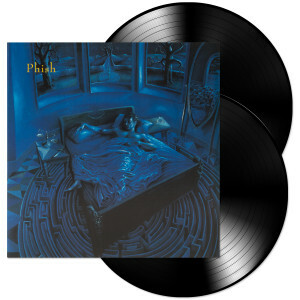 "Rift" was then shelved and re-introduced in 1992 (as heard on the album) with a faster tempo and slightly reworked lyrics. The cover art was created from an oil on canvas painting by David Welker, who worked with the band during winter 1992 to depict all but one of the album's tracks on the cover. Rift was mastered by Bob Ludwig and released by Elektra February 2, 1993 on CD and cassette. The album went on to be certified Gold. In late 2014, Chris Bellman at Bernie Grundman Mastering cut the lacquers from the Digital Audio Tape flat master for the vinyl edition. Each LP is pressed onto 180g audiophile grade vinyl and includes a free MP3 download of the album transferred from the vinyl. Vinyl is the best way to listen to music and this is a great album. This album has an excellent soundstage and a tremendous amount of presence. There is a lovely warmth that is not present in the CDs. I have all the Phish releases on vinyl and have not been disappointed. Obviously a killer record. One of the best. Shipped pretty quickly. The jacket of the vinyl came slightly damaged (edges got tattered in transit I imagine). Disappointing. I have been collecting vinyl for awhile now and was ecstatic when I saw Phish released there older albums. I don't know if I will even play them they look so good. Thank you Phish dry goods for the great service. I will always be a fan of this website. Obviously I have so many ways to listen to music, but nothing replicates the warmth and ritual of listening to an LP. I'm glad Phish is producing more vinyl. I own every copy available so far and will continue to be a purchaser. I also like buying direct from bands and record labels when possible. So thank you! The package was well protected but still had bent edges on the LP when I received it. Fast and prompt shipping though. I usually received a free sticker. did you stop doing that? I mean, it's Rift... on Vinyl... what more do I need to say? Poly sleeve could be a bit higher quality for the price. Very nice vinyl edition of rift! Sounds and plays amazing. 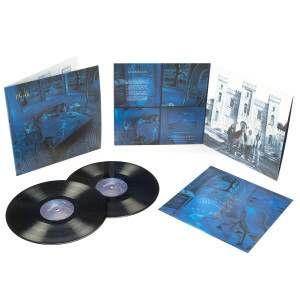 I already knew this was a great album and have always wanted it on vinyl. Also, was pleasantly surprised to find my disc 1 is apparently what looks like one of the splatter colored vinyls leftover from Magnaball and disc 2 is the standard black. Was a nice unexpected bonus making my copy a little more unique. Keep these vinyls coming please! Can't wait for Billy Breathes and Story of the Ghost, if they make it out, but seems like you guys are working through the catalog from the beginning. Thanks!! !